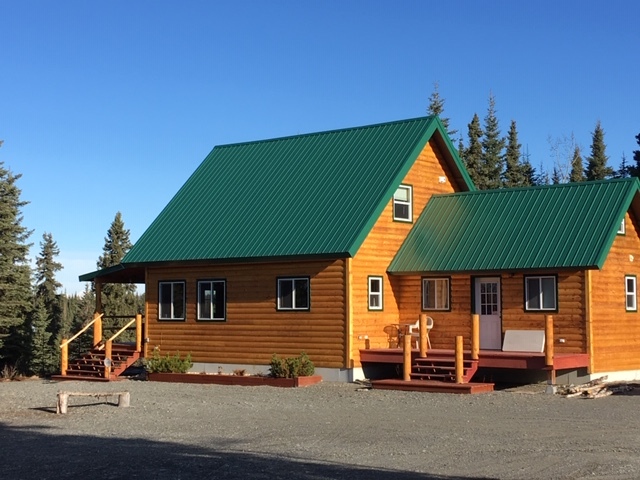 * Includes lodging and unguided bank fishing from our private 350+ feet of the best salmon waterfront on the river. Rods, reels, nets, and waders are included. Peak Sockeye Season*: The peak sockeye salmon fishing season from our shoreline is usually between July 7 through August 11th and is booked with limited availability. 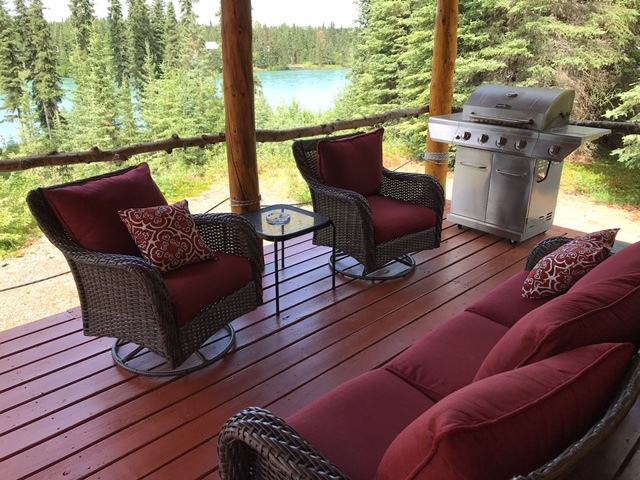 The highlight of our fishing and lodging packages is the unparalleled bank fishing for red (sockeye) salmon from our private and exclusive waterfront as well as lodging at our upscale cabin facilities. Silver / Coho salmon fishing starts in mid- August and runs through September. 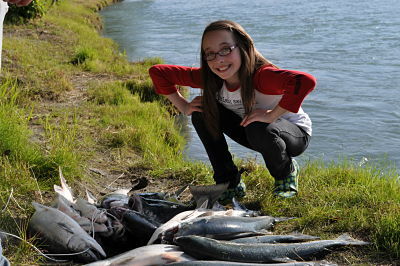 King / Chinook salmon fishing runs from May through July 31st. Trophy rainbow trout fishing begins in June and runs through September. Call us for more information on the salmon runs and trout fishing. 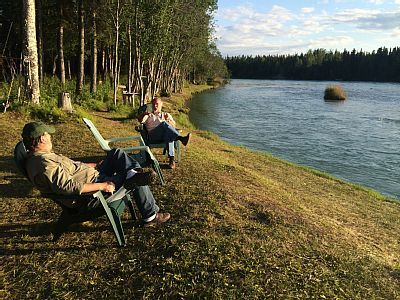 The Kenai River Cabins at Sterling can also arrange guided fishing day trips. 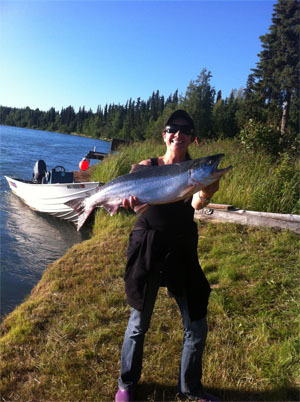 Some of these fully guided and outfitted day trips include charter fishing for halibut / ling cod / rock fish in the saltwater, or guided boat fishing on either the Kenai or Kasilof rivers for salmon and trophy rainbow trout. Fly-in fishing day trips to remote rivers for salmon is also available with incidental bear viewing. Call for details. are allowed. All cabins are non-smoking. Master card or Visa accepted. (to sign that says "Jamesons") to go to our Eagle's Retreat and Bear's Den cabins. For information on our Cancellation Policy, click here. Please read our Legal Waiver of liability for Outdoor Activities before booking. 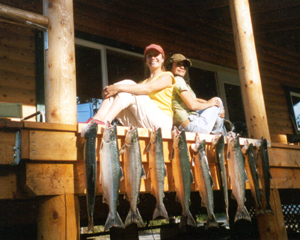 Customized lodging and fishing packages can be arranged according to your wishes. Just give us a call for more information at either of the below telephone numbers.